Editor’s Note: Laura Story’s life upended when her husband Martin was diagnosed with a brain tumor. The struggle that followed was very real and very hard, but it was in the broken fairy-tale life that Laura and Martin learned how to live with broken dreams and find the real Jesus and deep intimacy with Him. “Mary, slow down. I can’t understand what you’re saying.” She was so upset she was sobbing and gasping for air. I couldn’t make out anything she said. “He stopped breathing… machine and tubes… ICU… coded.” By now, I was wide-awake. But she wasn’t making any sense. “Come… hospital… he’s coded!” “Okay, okay, I’m on my way,” I said, zipping my jeans. I quickly hung up with Mary, pulled on a T-shirt, and then woke Eric and Shea. “Is he okay?” Shea asked, while I threw my stuff into a bag. “Of course.” “Are you okay to drive?” Shea asked as I ran out the door. I waved them off. “I’m fine.” While I fumbled for my keys and started the motor, I tried to make sense of what Mary said. Did he really stop breathing? Could he have coded? None of it made sense. I needed to get there and find out for myself. Speeding through the dark and eerily empty Atlanta highways, I called my parents, who had returned to Spartanburg, and then our friend John. I was also worried about Martin waking up and wondering why I wasn’t there. I arrived and headed straight to the ICU. As I entered, I could see my husband through the glass, lying lifeless on his back. It was alarming to see he wasn’t breathing on his own. Tubes connected to a life support machine were doing all the work. With the rise and fall of his chest, his body seemed to convulse as each breath was pumped into him. I was stunned. What had gone wrong? Cary and Mary were standing outside his room. “What’s going on?” I asked. Mary sobbed while Cary filled me in. “Around 3 a.m., Mary was in the lobby and I was sitting next to Martin. I couldn’t sleep, so I was watching him. Then without warning, it looked like he wasn’t moving. I got up to take a closer look, and I could see he wasn’t breathing. I was so scared, I ran out and yelled for the nurse. They came in with one of those carts and the paddles and…” He broke down and couldn’t finish. Fear grabbed my chest and squeezed it like a vise. Panic spread throughout my body, but I refused to let it control me. There was no time for grief or hysteria; there were decisions to be made. This was the biggest, most frightening thing I’d ever faced in my life. I needed to be strong for whatever happened next. A nurse approached. “Are you Mrs. Elvington?” she asked. “Yes, I’m Laura.” She essentially repeated everything Cary had just said. Then she added, “The doctor will be in soon and he can tell you more.” When she said the doctor would be there shortly, I assumed she meant Martin’s neurosurgeon, but a resident showed up instead. He was so young; it was hard to take him seriously. As he walked away, he took my breath with him. I reached for the counter for support. I felt dizzy and shaky. I didn’t know whether to be scared or angry. Martin’s parents began sobbing. I didn’t know what to say. The nurse suggested we wait outside, so the three of us dutifully found our way to the ICU waiting room and sat down. Martin’s parents called his brother. I reached for my phone to make a few calls to people who would want to know. I’m sure I didn’t make any sense on the phone. I was lost in my own thoughts, and I had no answers for their questions. How could things have changed so quickly? We had a plan. Martin was supposed to have surgery to fix the hole on Monday morning. If it was serious, why didn’t they tell us? Why didn’t they repair the hole earlier? We had seen all of the doctors they told us to see. We had every test done they requested. We followed all of the neurosurgeon’s directions before and after surgery. There had been a thousand action points that kept me busy and gave me a false sense of control — even security — that things could be fixed. But now the medical map was missing. We no longer had a road to follow. No signposts marked the way back to the path we’d so carefully planned. We were off-roading into the darkest abyss I’d ever faced and there was nothing I could do. My mom arrived around six, and I met her in the lobby. John came in at the same time. The three of us clung to one another and cried. It was the first time I had cried since I was in St. Louis and received the call from Martin telling me he had a brain tumor. As word of Martin’s condition spread, the ICU waiting room began to fill with friends and family praying and preparing to say good-bye to Martin. We took turns going in to see him until the surgeon arrived. There was nothing I could do. I was powerless to fix this. And worse, it appeared the doctor might not be able to fix it either. Our desire is for God to fix broken things. But God’s desire for us is to fix our relationship with Him. The news of Jesus’ healing had spread outside Capernaum. 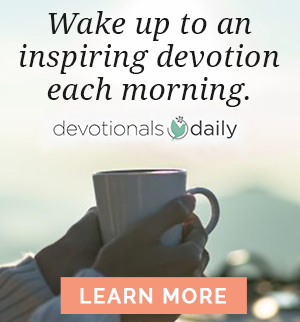 Early the next morning, ailing travelers streamed into town and headed toward Simon’s house, as the disciples rubbed their hands in expectation of what the day would bring. Then someone noticed that Jesus was missing. They set off in a search party. Where was He? They had to find Him! The crowds were growing restless. They wanted to be healed. It’s hard to understand why sometimes Jesus heals and sometimes He doesn’t. When it feels as though He’s turned his back and walked the other way, it’s hard not to be disappointed. Maybe even angry. But while we’re focused on the unhealed sickness, hurt, and pain in our lives, God is focused on a bigger picture. Something else is broken, and it has eternal consequences if it doesn’t get fixed. It’s our relationship with our Creator. While doctors can heal physical ailments, emotional wounds can be soothed, and grief lessens with time, our broken relationship with God continues to cause us pain even when our life is going well. God wants to restore our relationship with Him more than anything else. Though He loves us, He’ll allow us to feel the pain of this world’s unhealed hurts if it brings us closer to Him. I want Martin to be healthy and tumor free. God wants that too. But more than healing us physically, God wants my relationship with Him to be healthy. Jesus came to heal, but He doesn’t always fix the broken things I want fixed. But if I allow Him to, God will always heal my broken relationship with Him. Understanding that doesn’t lessen my desire for Martin to be healthy, but it does change everything else. Myth: God’s primary desire is to fix broken things. Truth: God’s primary desire is to fix my broken relationship with Him. 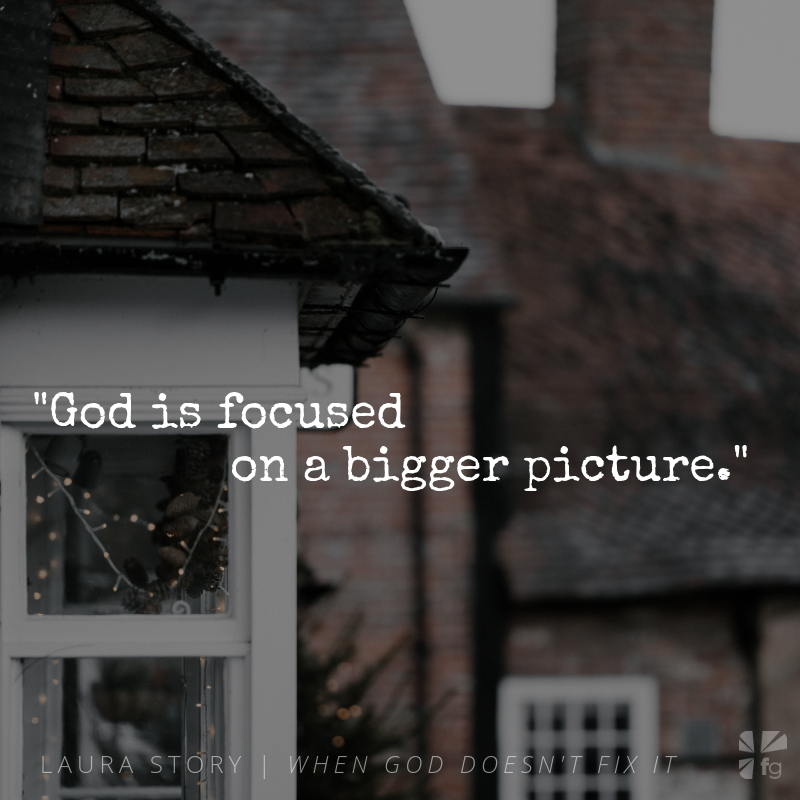 Excerpted with permission from When God Doesn’t Fix It by Laura Story, copyright Laura Story Elvington. Sometimes we pray and God doesn’t answer the way we want Him to. Sometimes we pray for something it seems like He should absolutely do, and yet He doesn’t… at least not yet anyway. What He wants most of all is us, our hearts, our faith, our devotion. 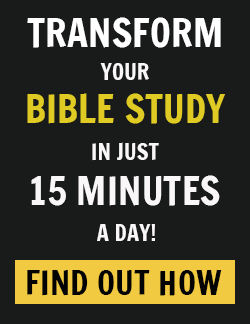 How does that change how you feel about God’s answer to your prayers? Come share with us on our blog!